Broadcasting House in London is the headquarters of the BBC. Mediacity in Greater Manchester, privately funded and publicly backed by the BBC is the largest media-production facility in the United Kingdom. In 2009 it was estimated that individuals viewed a mean of 3.75 hours of television per day and listened to 2.81 hours of radio. The main BBC public service broadcasting channels accounted for and estimated 28.4% of all television viewing; the three main independent channels accounted for 29.5% and the increasingly important other satellite and digital channels for the remaining 42.1%. Sales of newspapers have fallen since the 1970s and in 2009 42% of people reported reading a daily national newspaper. In 2010, 82.5% of the United Kingdom population were Internet users, the highest proportion amongst the 20 countries with the largest total number of users in that year. In 2017, European Broadcasting Union research found that people in the United Kingdom trusted the written press least of any European country, by a considerable margin. Trust in television and the radio was closer to the European average, though still below average. London dominates the media sector in the United Kingdom as national newspapers, television and radio networks are largely based there. Notable centres include Fleet Street and BBC Broadcasting House. Specialist local paper City A.M. is a free, business-focused newspaper published in print Monday to Friday. It is typically available from around 6 am at London commuter stations and is handed out at key points in the City, Canary Wharf and other central London locations. Greater Manchester is also a significant national media hub. Notable centres include MediaCityUK a 200-acre (80ha) media production facility in Salford and Trafford. The Guardian national newspaper was founded in Manchester in 1821, and was known as the Manchester Guardian until 1959. In the 1950s, coinciding with the growth in television, the Granada Television franchise was set up by Sidney Bernstein. Consequently, the Granada Studios were the first purpose-built television studios in the United Kingdom. The franchise produced television programmes such as Coronation Street and the Up Series. The BBC currently has two of its six major business divisions based here BBC North Group that comprises a number of important departments including BBC Breakfast, BBC Children's, BBC Sport, BBC Radio 5 and BBC North West. The other division is BBC Future Media. In addition ITV has two major divisions of its business based here ITV Studios responsible for UK and international network production and ITV Granada its regional service provider. The University of Salford also has a media campus and research center based at media city. The United Kingdom is known for its large music industry, along with its new and upcoming artists. In the UK, media is spread through the forms of TV, newspapers, magazines, websites, and radio. The Daily Mirror was founded in 1903. The Sunday Mirror, the sister paper to the Daily Mirror, was started in 1915. Edinburgh and Glasgow, and Cardiff are important centres of newspaper and broadcasting production in Scotland and Wales respectively. The BBC, founded in 1922, is the United Kingdom's publicly funded radio, television and Internet broadcasting corporation, and is the oldest and largest broadcaster in the world. It operates numerous television and radio stations in the United Kingdom and abroad and its domestic services are funded by the television licence. Other major players in the United Kingdom media include ITV plc, which operates 11 of the 15 regional television broadcasters that make up the ITV Network, and News Corporation, which owns a number of national newspapers through News International such as the tabloid The Sun and "broadsheet" The Times,. The United Kingdom print publishing sector, including books, server, directories and databases, journals, magazines and business media, newspapers and news agencies, has a combined turnover of around £20 billion and employs around 167,000 people. The print media sector is entirely regulating itself and there are no specific statutory rules regulating the print media. Traditionally British newspapers have been divided into "quality", serious-minded newspapers (usually referred to as "broadsheets" because of their large size) and the more populist, "tabloid" varieties. For convenience of reading many traditional broadsheets have switched to a more compact-sized format, traditionally used by tabloids. In 2008 The Sun had the highest circulation of any daily newspaper in the United Kingdom at 3.1 million, approximately a quarter of the market. Its sister paper, the News of the World, had the highest circulation in the Sunday newspaper market, and traditionally focused on celebrity-led stories until its closure in 2011. The Daily Telegraph, a centre-right broadsheet paper, is the highest-selling of the "quality" newspapers. While The Guardian is a centre-left "quality" broadsheet and the Financial Times is the main business newspaper, printed on distinctive salmon-pink broadsheet paper. In 2018 Reach plc (formerly Trinity Mirror), which operates 240 local and regional newspapers in the United Kingdom as well as the national newspapers Daily Mirror, Sunday Mirror and The People, purchased Northern & Shell which added the Daily Express, Sunday Express, Daily Star and three celebrity magazines to its stable. Scotland has a distinct tradition of newspaper readership (see list of newspapers in Scotland). The tabloid Daily Record has the highest circulation of any daily newspaper, outselling The Scottish Sun by four to one, while its sister paper the Sunday Mail similarly leads the Sunday newspaper market. The leading "quality" daily newspaper in Scotland is The Herald, though it is the sister paper of The Scotsman, and the Scotland on Sunday that leads in the Sunday newspaper market. In November 2014 a new newspaper was launched in Scotland called The National. In 2018 TheGuardian.com, News UK (The Times, The Sunday Times, The Sun) and The Daily Telegraph created a joint platform for advertisers to buy online adverts across the multiple leading news websites, called The Ozone Project. Later in the year Reach plc joined the platform, bringing nearly all of UK's national newspapers onto the platform. A large range of magazines are sold in the United Kingdom covering most interests and potential topics. British magazines and journals that have achieved worldwide circulation include The Economist, Nature, and New Scientist, Private Eye, Hello!, The Spectator, the Radio Times, and NME. 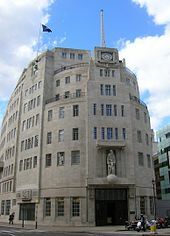 Radio in the United Kingdom is dominated by the BBC, which operates radio stations both in the United Kingdom and abroad. The BBC World Service radio network is broadcast in 33 languages globally. Domestically the BBC also operates ten national networks and over 40 local radio stations including services in Welsh on BBC Radio Cymru, Gaelic on BBC Radio nan Gàidheal in Scotland and Irish in Northern Ireland. The domestic services of the BBC are funded by the television licence. The internationally targeted BBC World Service Radio is funded by the Foreign and Commonwealth Office, though from 2014 it will be funded by the television licence. The most popular radio station by number of listeners is BBC Radio 2, closely followed by BBC Radio 4. Advances in digital radio technology have enabled the launch of several new stations by the Corporation. The United Kingdom has no analogue television. A free to air digital service is made up of two chartered public broadcasting companies, the BBC and Channel 4 and two franchised commercial television companies, (ITV and Channel 5). In addition to this, the United Kingdom's free-to-air Freeview service runs a large number of Entertainment, Music, Sport and Shopping channels from the likes of CBS, UKTV and Sky. There are five major nationwide television channels: BBC One, BBC Two, ITV, Channel 4 and Channel 5—currently transmitted by digital terrestrial, free-to-air signals with the latter three channels funded by commercial advertising. The vast majority of digital cable television services are provided by Virgin Media with satellite television available from Freesat or Sky and free-to-air digital terrestrial television by Freeview. The entire country switched to digital (from a previously analogue signal) in 2012. The BBC operates several television channels in the United Kingdom and abroad. The BBC's international television news service, BBC World News, is broadcast throughout the world. The domestic services of the BBC are funded by the television licence. The international television broadcast services are operated by BBC Worldwide on a commercial subscription basis over cable and satellite services. This commercial arm of the BBC also forms half of UKTV along with Virgin Media. Channel 4 is similarly chartered to the BBC, with a remit to provide public service broadcasting and schools programs, however it runs commercial advertisements to provide a revenue stream. It produces a number of digital channels, branded as Channel 4, as well as E4, More 4 and Film4. The commercial operators rely on advertising for their revenue, and are run as commercial ventures, in contrast to the public service operators. The ITV franchise transmits the 3 different networks in different parts of the country. These are known as ITV (in England, Wales, Scottish Borders, Isle of Man and Channel Islands), STV (In Central and Northern Scotland), and UTV in Northern Ireland. The UK's country code top-level domain (ccTLD) is .uk. The most visited ".uk" website is the British version of Google, followed by Amazon, eBay, BBC Online and MailOnline. ^ "Social Trends: Lifestyles and social participation", Office for National Statistics, 16 February 2010, archived from the original on 17 June 2011 . ^ "Top 20 countries with the highest number of Internet users", Internet World Stats, archived from the original on 17 June 2011 . ^ Ponsford, Dominic (26 May 2017). "Survey finds that UK written press is (by some way) the least trusted in Europe". Press Gazette. Retrieved 13 August 2018. ^ UK Campus, Media City. "Courses and Training". Research Center. University of Salford. Retrieved 25 July 2013. ^ D. William, UK Cities: A Look at Life and Major Cities in England, Scotland, Wales and Northern Ireland (Godfrey Mwakikagile, 2010), ISBN 9987-16-021-2, pp. 22, 46, 109 and 145. ^ Newswire7 (13 August 2009), "BBC: World's largest broadcaster & Most trusted media brand", Media Newsline, archived from the original on 17 June 2011 . ^ "TV Licence Fee: facts & figures", BBC Press Office, April 2010, archived from the original on 17 June 2011 . ^ "Publications & Policies: The History of ITV", ITV.com, archived from the original on 11 April 2011 . ^ "Publishing", News Corporation, archived from the original on 17 June 2011 . ^ "Direct Broadcast Satellite Television", News Corporation, archived from the original on 17 June 2011 . ^ "Publishing", Department of Culture, Media and Sport, archived from the original on 17 June 2011 . ^ a b c "ABCs: National daily newspaper circulation September 2008". The Guardian. UK. 10 October 2008. Retrieved 17 October 2008. ^ Phone-hacking probe: 'Thank you & goodbye', says NoW, BBC News, 10 July 2011, retrieved 11 July 2011. ^ Lyall, Sarah (24 February 2010). "British Panel Condemns Media Group in Phone Hacking Case". The New York Times. Retrieved 30 December 2010. ^ "Trinity Mirror plc: Annual Report and Accounts 2010" (PDF), Trinity Mirror, 2010, archived from the original (PDF) on 24 June 2011 . ^ Tobitt, Charlotte (20 June 2018). "Culture Secretary gives green light to Reach takeover of Express Newspapers". Press Gazette. Retrieved 9 October 2018. ^ Tryhorn, Chris (9 May 2008), "Scottish Sun pulls further ahead of Record", guardian.co.uk, archived from the original on 24 June 2011 . ^ Pro-independence daily paper the National to launch in Scotland. The Guardian. Author - Mark Sweney. Published 21 November 2014. Retrieved 5 May 2017. ^ Waterson, Jim (20 June 2018). "Guardian, News UK and Telegraph launch joint advertising business". The Guardian. Retrieved 8 October 2018. ^ Tobitt, Charlotte (11 September 2018). "Joint advertising platform becomes 'truly cross-industry initiative' as Reach unites with News UK, Guardian and Telegraph". Press Gazette. Retrieved 9 October 2018. ^ "News and Analysis in your language". BBC. Retrieved 30 December 2010. ^ a b "TV Licence Fee: facts & figures". BBC Press Office. Archived from the original on 7 September 2010. Retrieved 30 December 2010. ^ "BBC Funding Settlements: the details". OFCOMWATCH. October 2010. Retrieved 30 December 2010. ^ "BBC7 radio launches with comedy", BBC News, 16 December 2002, retrieved 10 July 2011. ^ "What is digital switchover". Directgov. December 2010. Retrieved 30 December 2010. ^ "CHANNELS". BBC Worldwide. Retrieved 30 December 2010. ^ "Top Sites in United Kingdom". Alexa. Retrieved 5 April 2016. Euromedia Research Group; Mary Kelly; et al., eds. (2004). "United Kingdom". Media in Europe (3rd ed.). Sage Publications. ISBN 978-0-7619-4132-3. Harcourt, Alison (2006). European Union Institutions and the Regulation of Media Markets. London, New York City: Manchester University Press. ISBN 0-7190-6644-1. United Kingdom's All Newspapers & Media. United Kingdom's Newspapers and other types of media from the UK. UK media plurality threatened by a dominant group of large firms – report. The Guardian. Published 21 October 2015. Retrieved 7 December 2017. This page was last edited on 11 April 2019, at 17:46 (UTC).